Here are expired listings for Mobile Home Parks for Sale. in Wisconsin. 34 Sites Nice Locatoins Lots of upside on this one. 65% occupied Bank owned priced to sell. Need new septic. 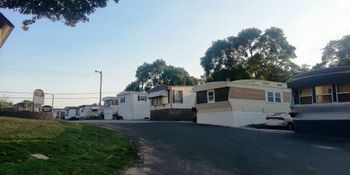 WISCONSIN BEAUTIFUL 81 SITE MOBILE HOME COMMUNITY. OFF STREET PARKING, STREET LIGHTS THROUGHOUT, NEW ATTRACTIVE HOMES, MOSTLY SNOW BIRDS,INDIVIDUALLY METERED. Priced to sell! 27 Site property in beautiful Rib Lake Wisconsin. City utilities that are submetered. 19 Park Owned Rentals. Rent has not been raised in 10 years, lots of upside potential here. Beautiful 56 site Senior property. Quietness of a senior community and the beauty of the North Woods. 30+ Site Manufactued Housing Community, Great rental history at 95% occupied, only one park owned home, located within 1/2 hour of Green Bay.